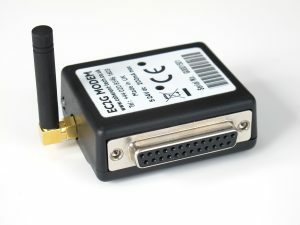 Gateways provide always-available connectivity for applications where the host device or sensor needs to communicate with a server. The gateway automatically opens a connection on demand or maintains it ready for incoming connections from the remote server – the host device doesn’t need to have in-built capability to manage the connectivity. Our Very low power Gateways enable extended connectivity times in battery and renewable energy powered systems where standard devices may not be feasible from a power-management perspective. 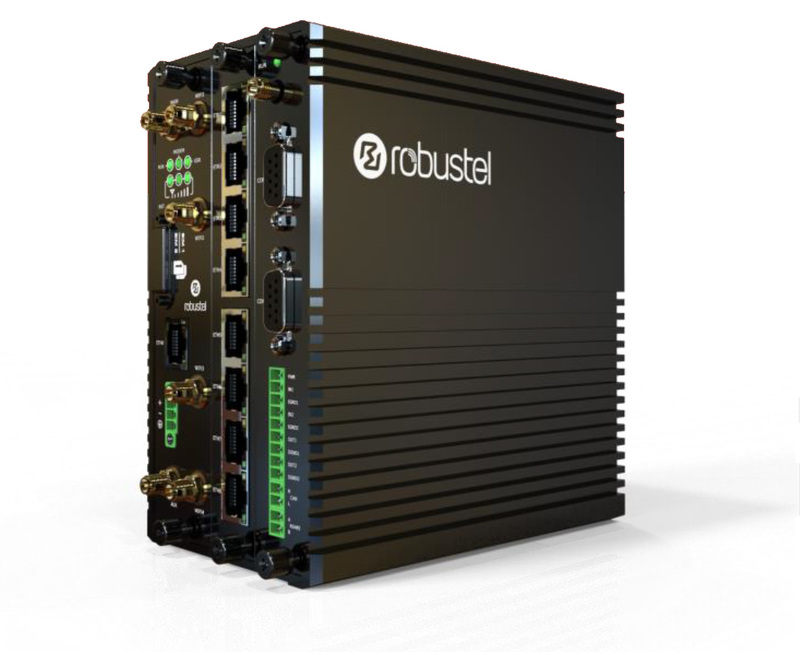 Robustel's Smart Industrial M1200 is a compact cellular gateway with Serial interface. It is ideal for cost-conscious markets requiring a flexible, high reliability, solution for remote device connectivity in M2M applications. 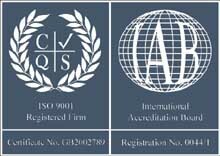 The M1200 automatically opens and maintains an IP connection according to a defined policy. Data is transparently exchanged between connected equipment and a remote server, with no AT Commands required. 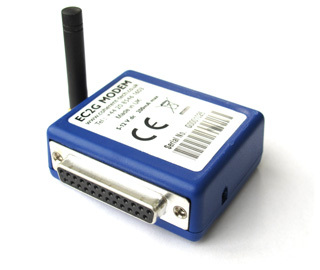 The Serial interface supports either RS232 or RS485, including support for Modbus gateway mode (Modbus RTU to Modus over TCP). The USB interface provides a https server for device configuration via PC web-browser. 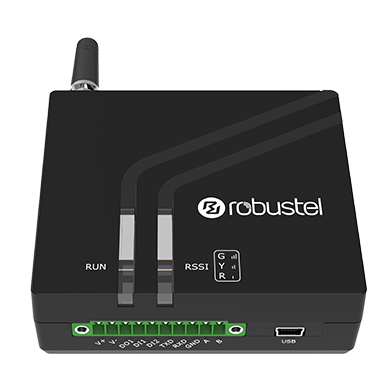 Over-the-air management is possible via optional RobustLink service. Additionally the M1200 has one digital input and two digital outputs, which can be used for alarms and simple control of external devices. The M1200 delivers a dependable, very cost-effective remote connectivity solution for industrial automation and IoT applications that is simple to configure, deploy and maintain. Power Supply: Input voltage range 9 to 36V D.C. The MEG5000 is a modular design 'Edge' Gateway for Internet of Things applications. The design is based upon a scale-able configurable platform with cellular communications and Edge processing to meet the changing demands of Industrial IoT applications. The powerful Gateway device uses Robust-OS, a Linux-based operating system providing customers with all the necessary basic networking and protocols built-in. Configuration and management are via a clean and simple web interface, allowing systems engineers to develop and run custom applications on the device. 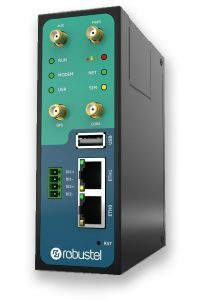 MEG5000 features Dual-SIM for continuous cellular connectivity, support for RobustLink cloud-based services, multiple VPNs, multiple Wi-Fi interfaces (2.4 & 5 GHz), digital I/O and many other configurable features. 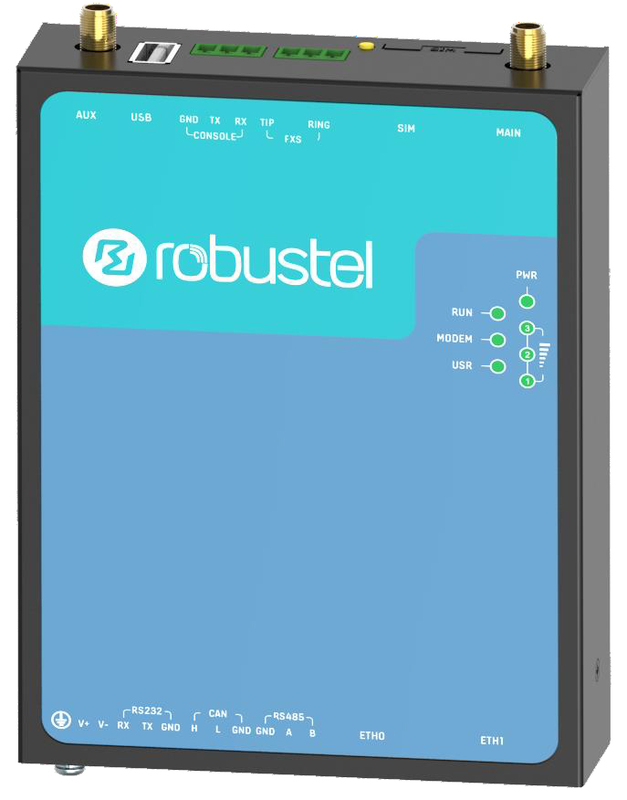 Robustel R3010 is an industrial Gateway designed for elevator and lift monitoring applications, providing reliable and secure remote access via state-of-the-art mobile wireless technology. 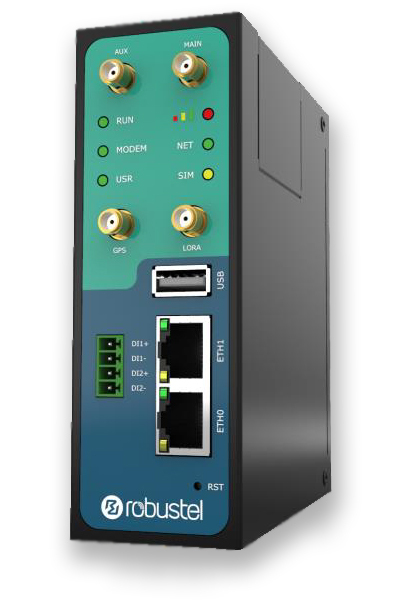 The R3010 features multiple serial interfaces, audio interface for emergency calls and two independent Ethernet LAN interfaces. The powerful Gateway uses Robust-OS, a Linux-based operating system for configuration and management via a clean and simple web interface, accessible over-the-air. Robust-OS allows users to develop and run custom applications using C, Python or Java on the device. The R3010 includes support for RobustLink cloud-based services, multiple VPNs and many other configurable features. Power Supply: Input voltage range 9 – 26V D.C.